or stored out of the way when not being used. 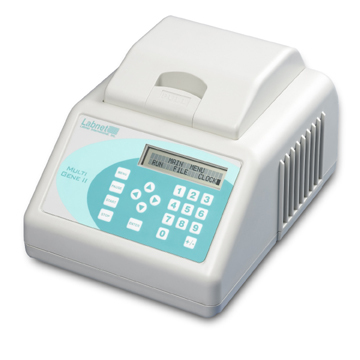 Small enough to be considered a personal thermal cycler, the MultiGene II is supplied with either a 25 x 0.2ml tube block or a 16 x 0.5ml block. Heating and cooling are accomplished electronically by Peltier units. Uniformity across the block is ±0.4ºC at 55°C, ensuring that all samples are exposed to the same temperature conditions. 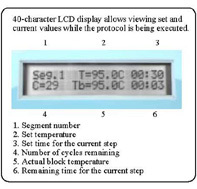 Block heating and cooling are driven by an algorithm that accurately simulates sample temperature. 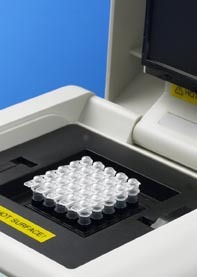 The MultiGene II is supplied with a heated lid for oil-free cycling. For applications where the heated lid is not required, it can be turned off.